I'm looking for stories about ghost encounters. Do you hear things during the night that you can explain? Do you feel as if someone is watching you or that you are not alone when you walk into an empty room? Have you ever thought you saw someone in your peripheral vision, but when you turn to look no one was there? You may have encountered a ghost—the spirit of a person who remained in the Earth plane after death. Have items been mysteriously moved around in your house? Have your lights or electronics turned on or off by themselves? Were you the only one who smelled flowers, perfume, cigarette smoke, or other scents associated with a deceased individual? Did you hear a voice or sound that no one else heard? Have you been touched, tickled, stroked, or even shoved by a ghost? Have you interacted or communicated telepathically with a disembodied spirit? If you would like to share your experience in communicating with spirits, please contact me at writer @ YvonnePerry dot net. Need Comfort after Losing a Loved One? 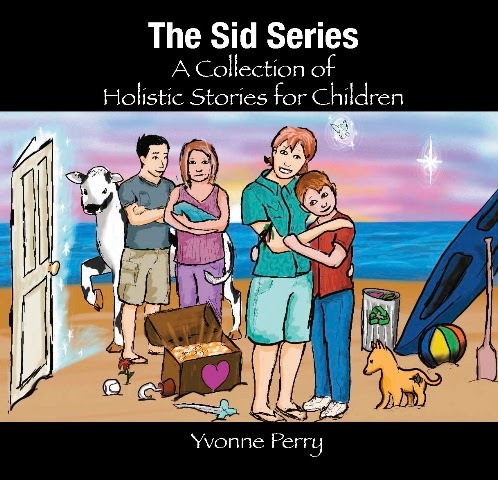 A book to comfort those who are grieving the loss of a loved one. If you think you are being visited by a deceased loved one, check this out. More than Meets the Eye: True Stories about Death, Dying, and Afterlife can be a source of comfort for those who need answers to the questions we all ask while grieving the loss of a loved one. This book contains stories about euthanasia, suicide, near-death experience, post-mortem processes, hospice care, assisting the passing of a loved one, spirit visits from deceased loved ones, and other topics people are somewhat reluctant to talk about. Non-religious information and insight to assist people in finding peace about the mysterious process of transitioning back to God/Source. For more information, you might enjoy reading the complete book More Than Meets the Eye True Stories about Death, Dying, and Afterlife. When Daniel Scott Lasky died Sept. 8, 2010 from Lou Gehrig’s Disease his family carefully wrapped his body, placed him on dry ice, loaded him into the family van and started their journey south to Fort Lauderdale for a burial at sea. Find out what happened to his corpse . . .
For the last twenty years, I have practiced asking for and receiving guidance consistently from the angelic realm. Why the angels? It was my choice. The angels were hot in the early 1990's and I wanted to connect. I could tell there was something loving "out there," and I wanted to know what it/they knew. I wanted their protection and their knowledge. The angels seemed innocuous and safe. After all, in Sunday School, it was always the angels or baby Jesus that showed up for kids. Since I was no longer much of a Jesus follower, although I believe in the Christ Consciousness, the angels were a natural shoe-in. Little did I know that I already had the angels' protection. Their knowledge was mine as well, but I needed to learn to ask. I was brought up not to ask questions, because it wasn't "nice." My first sales job taught me if I didn't learn to ask outright, I would starve and be out of work in a week. Here are some useful and workable ideas on how to get spiritual guidance for yourself. 1. Ask for Help. Ask for what you want. Ask for everything. Asking is not as easy as it sounds. We think we can muscle our way through life until one day we get knocked down one time too many. Sometimes we are not sure what we want. We know we don't want what we have, but we have no idea of what we do want. The angels suggest you work backward from what you don't want. For instance, if you are unsure whether to take job, or move to another city, or stay with your old relationship, notice what you don't like currently. Write down all the everyday incidentals that annoy you. When you feel like you have regurgitated all your old self-righteous anger, then write down the opposite, showing you exactly what you do want to create in your new job, location, or relationship. Then give yourself permission to ask your angels, your guides of Light, or the Divine itself. Be specific, although it is perfectly acceptable to just ask for insight or guidance about whatever is concerning you. If you are feeling secure in who you are but are unsure of which direction to move toward, then ask to be shown a different way, a different route. 2. Ask what you need to see for your Highest Good. It's always a good idea to ask to see and hear from a higher level of consciousness than what you scrape up from your own judgmental ego. It's why I consult only with the angels or the Divine itself before I do any readings for myself or others. 3. Be still and listen. As someone who is only learning now to sit still, this has been my most difficult challenge. Initially the angels only connected with me when I was in the shower right after getting out of bed. Or worse yet, they would babble at some ungodly hour in the way-too-early morning hours. All of this stopped once I caught on that either I gave them their just attention or sleeping through the night was not an option. 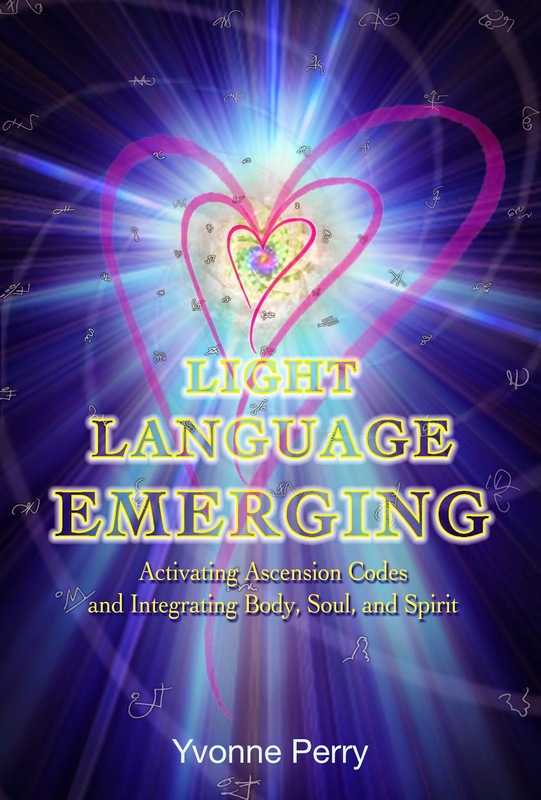 The subtle energies do not shout, they whisper until you are aligned with their channel. 4. How do I know who's talking? Great question. You'll know for sure what you are hearing, seeing, or feeling is from a higher level of consciousness; i.e., your angels, your High Self, the Divinity, because there will be no edge. There will be no judgment. What you hear will be validating and not frightening. 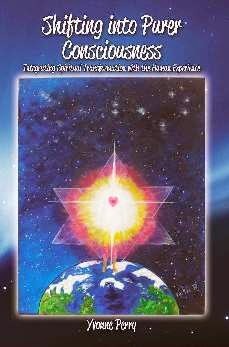 When your angels and higher consciousness speaks, it will be through the voice of compassion, of love. If you are hearing judgmental, sarcastic, or combative things, you are not tuned in to a consciousness that is any higher than your own ego. Not a smart move, because what you hear will get you into trouble. Asking for what you want is only half of the game. The other half is learning to trust what you hear and to take action to follow through. The trick is learning to fine-tune your specific channel to the angelic realm, or whichever path to higher consciousness you choose to master. Be patient with yourself. You are teaching yourself a new way of living in peace by connecting to the higher channels of Love available to each of us. Those who interact with the non-physical realm are sometimes considered insane or in need of psychiatric help. Unfortunately, many are shunned and ridiculed. Some are drugged. I've heard of children who were punished for talking about seeing deceased family members, angels, and ghosts. if you are one who provides care for those who are near the end of life, you may have noticed that elderly patients interact with deceased relatives and loved ones. Seeing, hearing, and communicating with the unseen realm is sometimes an indication that the transition toward the afterlife is beginning to occur. It gives a vague time line for determining how long a person may have before the soul departs from the body. But, what do you do when someone like my grandmother enters palliative care or hospice? Although she didn't talk much about it until she had her second near-death experience in 2008, Nanny has heard and seen in the spirit realm ever since her near-death experience in 1952. Her third and fourth NDEs in 2009 really opened the airwaves! At age 94, it is a common occurrence for her to communicate with deceased loved one and have spirit visitors that no one else can discern. Why do some people have this psychic ability while others don't? P. M. H. Atwater says that this intuitive ability is due to the development of the temporal lobes in the brain. From approximately age 2 through 6, the temporal lobes take in and sort different forms, shapes, colors, and sounds so children can build neural libraries that let them know what is expected of them on earth. As this part of brain development nears completion, the child tends to interact less with the spirit realm and adheres to society norms. The elderly and those who have experienced near-death states, surgery requiring anesthesia, or some type of severe emotional trauma may find that this part of their brain has been reawakened. They may experience a transformation of consciousness that allows them to again see, hear, smell, and interact in other worlds. That is what happened to me after two NDEs and several surgeries. Have you had an experience that opened your psychic ability or if you work with the elderly who have this experience, I would love to interview you and get your take on this. Please leave a comment below this post. The trademark of empaths is that they know where you’re coming from. Some can do this without taking on people’s feelings. However, for better or worse, others, like myself and many of my patients, can become angst-sucking sponges. This often overrides the sublime capacity to absorb positive emotions and all that is beautiful. If empaths are around peace and love, their bodies assimilate these and flourish. Negativity, though, often feels assaultive, exhausting. Thus, they’re particularly easy marks for emotional vampires, whose fear or rage can ravage empaths. As a subconscious defense, they may gain weight as a buffer. When thin, they’re more vulnerable to negativity, a missing cause of overeating explored in my book Positive Energy. Plus, an empath’s sensitivity can be overwhelming in romantic relationships; many stay single since they haven’t learned to negotiate their special cohabitation needs with a partner. * Have I been labeled as “too emotional” or overly sensitive? * If a friend is distraught, do I start feeling it too? * Are my feelings easily hurt? * Am I emotionally drained by crowds, require time alone to revive? * Do my nerves get frayed by noise, smells, or excessive talk? * Do I prefer taking my own car places so that I can leave when I please? * Do I overeat to cope with emotional stress? * Am I afraid of becoming engulfed by intimate relationships? * Allow quiet time to emotionally decompress. Get in the habit of taking calming mini-breaks throughout the day. Breathe in some fresh air. Stretch. Take a short walk around the office. These interludes will reduce the excessive stimulation of going non-stop. * Practice guerilla meditation. To counter emotional overload, act fast and meditate for a few minutes. This centers your energy so you don’t take it on from others. * Define and honor your empathic needs. Safeguard your sensitivities. Here’s how. o If your comfort level is three hours max for socializing--even if you adore the people--take your own car or have an alternate transportation plan so you’re not stranded. o If crowds are overwhelming, eat a high-protein meal beforehand (this grounds you) and sit in the far corner of, say, a theatre or party, not dead center. o If you feel nuked by perfume, nicely request that your friends refrain from wearing it around you. If you can’t avoid it, stand near a window or take frequent breaks to catch a breath of fresh air outdoors. o If you overeat to numb negative emotions, practice the guerilla meditation mentioned above, before you’re lured to the refrigerator, a potential vortex of temptation. As an emergency measure, keep a cushion by the fridge so you can be poised to meditate instead of binge. Over time, I suggest adding to this list to keep yourself covered. You don’t have to reinvent the wheel each time you’re on emotional overload. With pragmatic strategies to cope, empaths can have quicker retorts, feel safer, and their talents can blossom. What Did the Greeks Believe About the Afterlife? The ancient Greek notion of the afterlife and the rituals accompanying burials were previously well instituted by the 6th century B.C. In the Odyssey, Homer depicts the Underworld, deep below the earth, where Hades, the brother of Zeus and Poseidon, and his spouse, Persephone, ruled over a myriad of wandering legions of gloomy figures known as the 'shades' which were all those who had previously perished. It was not a joyful locality, and indeed, the soul of the great warrior Achilles informed Odysseus that he would might as well be a miserable helot on Earth than lord of all the departed in the land of the dead. The Greeks conceived that at this point of death the soul, or ghost of the deceased, was released from the body as a brief puff of wind. The deceased was then readied for interment conforming to their time-honored practices. Ancient scholarly authorities insist on the need of a correct funeral and refer to the exclusion of burial ceremonies as an defamation to human nobility. Families of the dead, principally women, administered the elaborate funeral traditions that were traditionally made up of three sections. These were the placing of the body, the burial march, and the burying of the individual or cremated ashes of the deceased. Following being cleaned and daubed with oil, the individual was clothed and positioned on a high bed inside the dwelling. Throughout the placing of the body, relations and friends drew near to grieve and provide their respects. Lamentation of the deceased is highlighted in aged Greek paintings at least as ancient as the Geometric era, when vases were adorned with areas illustrating the departed surrounded by grievers. The final stage of the process was to bring the deceased to the burial ground in a procession, the ekphora, which commonly took place almost ahead of dawn and a handful of objects were deposited into the grave, but imposing earth stacks, orthogonal constructed crypts, and elaborate marble stelai and carvings were frequently formed to indicate the grave and to safeguard that the deceased would always be remembered. Eternal life lay in the lasting recollection of the deceased by the living and from representations on white ground lekythoi, we understand that the women of Traditional Athens made habitual visits to the burial sites with gifts that included little cakes and liquid offerings. The most sumptuous burial mausoleums were built in the 6th century B.C. by upper-class kindreds of Attica in exclusive funeral land along the roadside on the relatives land or approaching Athens. Relief carvings, figures, and tall stelai enthroned by finials identified many of these burial places. Each funerary mausoleum had an engraved foundation with an epitaph, frequently in poetry that memorialized the deceased. A relief illustrating a generalized impression of the departed occasionally summoned up characteristics of the individual's existence, with the inclusion of a minion, belongings, and animals. On ancient reliefs, it is simple to recognize the deceased individual nevertheless, throughout the 4th century B.C., further family associates were attached to the scenes and generally many names were etched into the tribute, making it hard to differentiate the deceased from the grievers. Like all aged marble carving, funerary figures and burial stelai were brightly colored, and comprehensive remains of scarlet, dark, cobalt, and green coloring can nevertheless be viewed. Many of the best Attica burial memorials endured in a burial place positioned in the outlying Kerameikos area situated on the edge of Athens barely outside the gateways of the old city barrier. The burial ground was being used for centuries and awe-inspiring Geometrical craters marked burial mounds of the 8th century B.C., in addition to excavations which have exposed a obvious structure of graves from the Traditional era. At the demise of the 5th century B.C., Athenian households started to inter their deceased in modest stone sarcophagi positioned in the ground inside grave areas coordinated in manufactured terraces supported by a tall retaining barriers. Marble cenotaphs belonging to various associates of a relatives were positioned alongside the edge of the terrace rather than over the tombs themselves. As we can see the Greeks believed a significant amount about the afterlife and paid great attention to trusted traditions when burying their loved ones and did not deviate from this for many years. UK Area 51 is a website dedicated to unexplained events and emerging sciences concerning a wide variety of topics. Our aim is to provide rich, diverse and stimulating articles around the issues that face mankind now and in the future. Please visit our main site for many more intriguing articles at UK Area 51 and to view the original article please click What Did The Greeks Believe About The Afterlife?. 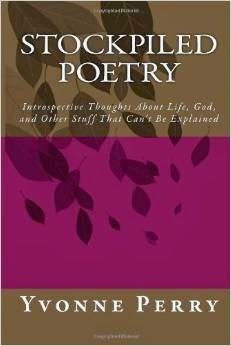 Enjoy this audio preview of Yvonne Perry's book on death, dying, and afterlife. Find out why she wrote the book and a bit about her journey from being involved in a fundamentalist Christian religion to becoming a metaphysical teacher expressing psychic gifts. 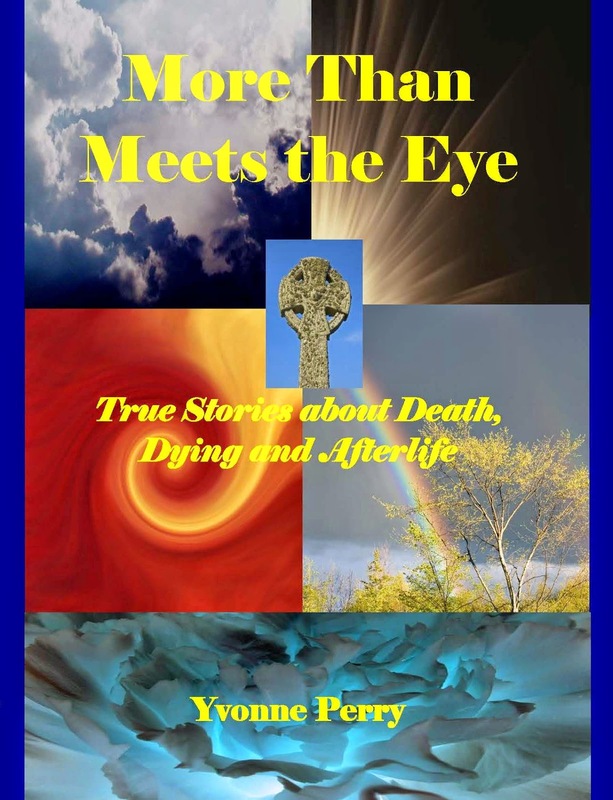 You might enjoy reading the complete book, More Than Meets the Eye True Stories about Death, Dying, and Afterlife. Traditional funeral etiquette and many 20th-century romantics will tell you that fresh flowers are the perfect objects of condolence. Some will say that a colorful, vibrant bouquet symbolizes how beautiful life is, while others believe that flowers simply signify the brevity of life. One green alternative to traditional flower arrangements is making a donation to charity in the name of a beloved friend or family member. It's becoming more common and many obituaries even suggest a favored charity to receive gifts in lieu of flowers. 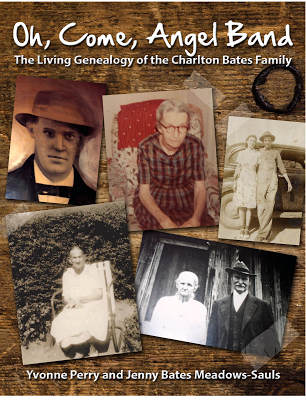 Consider a charitable donation to honor your loved one. When sending condolences, you want to convey your most heartfelt sympathy. Condolences are intended to show your profound sentiment and compassion for those in mourning. My Living Reef can help make your condolences special by making a difference with your sentiments. In honor of someone you've loved, make a difference. Make the world a better place with a contribution in memorium. Dedicate a baby sea turtle in your loved one's name with a donation to Sea Turtle Rescue. To learn more click here. Death is an inevitable part of life and unfortunately we will all be touched by the finger of death at some point in our lives. It may be the death of a close friend, a beloved pet, or a dear family member. Death is a difficult thing to work through. It leaves you feeling so empty and alone. But there are ways that you can find peace after the death of a loved one. When you lose someone close to you, your senses are flooded with a multitude of emotions. Denial, anger, sadness, and frustration are just a few of the feelings you may experience. This is perfectly normal and everyone has to go through different emotions when dealing with death. We experience denial both when we first learn of the death and sometimes days and weeks later. Someone has made a mistake, I had a bad dream, these are just a few of the thoughts you may experience in the denial stage. Denial is stronger when dealing with accidental or sudden death. In this case denial may last longer than it does when you lose someone to an illness or old age. Anger and frustration occurs both soon after the loss and even many years later. You wish the person was here to help you with a project or you are dealing with finances you don't understand. It is perfectly normal to feel anger toward the person you lost. After all, they left you alone. This is a natural sentiment and something that you will feel. Sadness and grief are the first things someone thinks of when dealing with death. These are the emotions that everyone expects you to have. You are lost and missing the person so much. These feelings of sadness and grief will come and go especially through the first year as you deal with many 'firsts' without them. So how can you find peace when you are grieving? First of all you need to understand that all these emotions are a normal part of the grieving process. You need to experience them to properly heal. It is okay to be mad at the person who died. Someday that anger will subside and you will have overcome the frustration of loss. Sadness and grief will probably be with you for life, but they get easier to deal with over time. It will not be a all consuming sadness that you feel right after the death, but it will mellow into a longing or melancholy feeling. Something you will feel only occasionally. This is normal after all you lost someone very close to you. You will always miss them and feel their loss it just won't always be painful. Time is a great healer. Even though you may feel that you cannot survive another day because the grief is so overwhelming, you can and you will. Face each day and conquer it! Spend time with friends and read uplifting books. These things can really help when dealing with grief. There are many books written about death and dying. 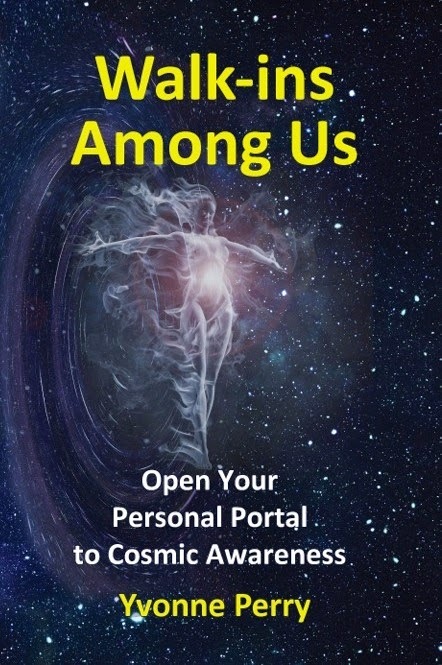 If you believe in an afterlife, books about near death experiences can be helpful. After the loss of my brother I read several of these books and they brought me peace. I had a better understanding of what happened when he died and where he was now. Some days you may feel like you just can't face the world, this is okay just don't let it become a habit. Many people let grief win and overtake their lives. They become consumed in their sorrow and almost cease to function. This actually becomes detrimental to their health. No matter how hard it may seem, you need to move forward. Keep your loved ones in your heart, but allow yourself to live as well. Think about what they would want. Would they want you to suffer endlessly because of their death? Many people turn to religion when they lose someone. Faith is a great healer and it helps us believe in a better life for both us and the person who died. Most religions teach of an afterlife where everyone is at peace and happy. The Church of Jesus Christ of Latter Day Saints, also known as the Mormons, believe that families will be together forever in the afterlife. This belief brings great comfort to families who have lost loved ones and especially to parents who have lost children. You can find peace and healing after losing someone close to you. Remember that it is okay to feel a range of emotions. Time will help you overcome the anger and will dull the pain of loss. But you will always remember the person you lost. After all, they were an important part of your life. Piper enjoys researching her family history and reading stories of her ancestors. She spends a lot of her time using her Epson scanner to make quality copies of her grandparents photos. She enjoys nature, reading and spending time with her family. She also teaches people how to go about using a 35mm slide converter in her spare time.